This article describes the difficulty courts have in dealing with the government speech doctrine in relation to anti-SLAPP statutes. 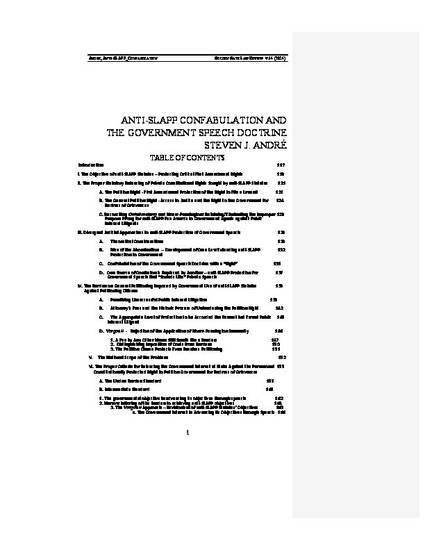 In particular, the article details the conflicts created in California by a misunderstanding of the government speech doctrine allowing government actors to utilize anti-SLAPP statutes against individuals exercising First Amendment rights. Please note that due to an error during editing, the print version of this article differs from the version here. The print version is an incomplete version of this article from earlier in the editing process.